SCRAP-LOVE: Digital layout made on Scrapblog. Digital layout made on Scrapblog. I just made this digital layout on Scrapblog. It was fun doing it, but I still prefer to work with real paper and embellishments. 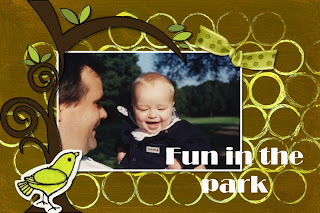 But I have to say that it's not difficult at all making a digital layout at Scrapblog! You have to try it sometime!